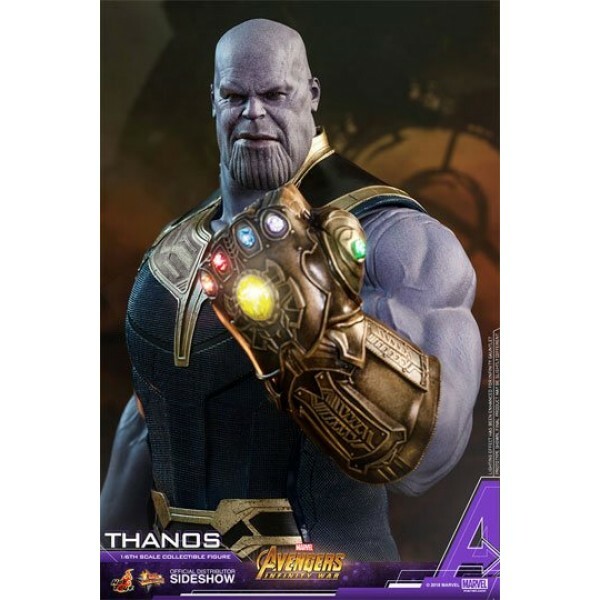 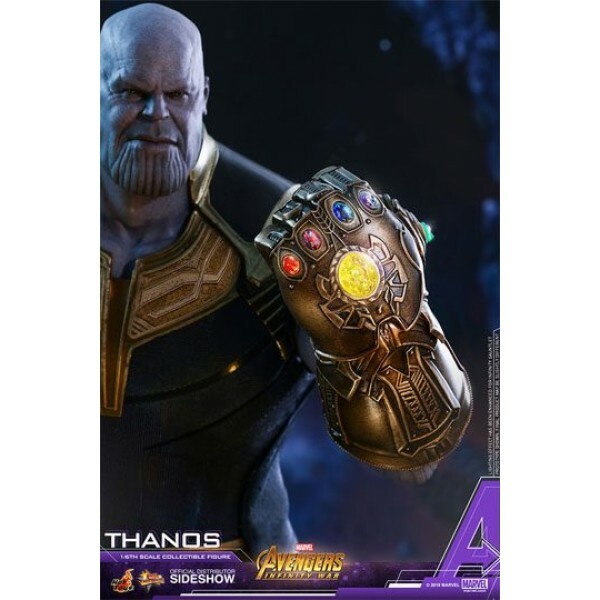 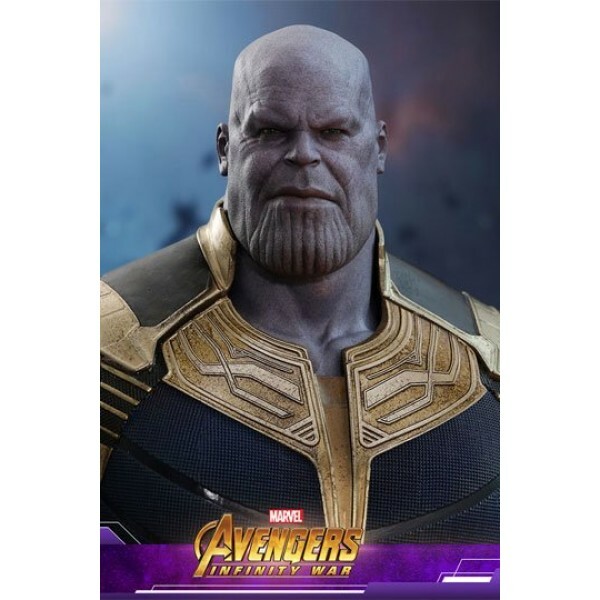 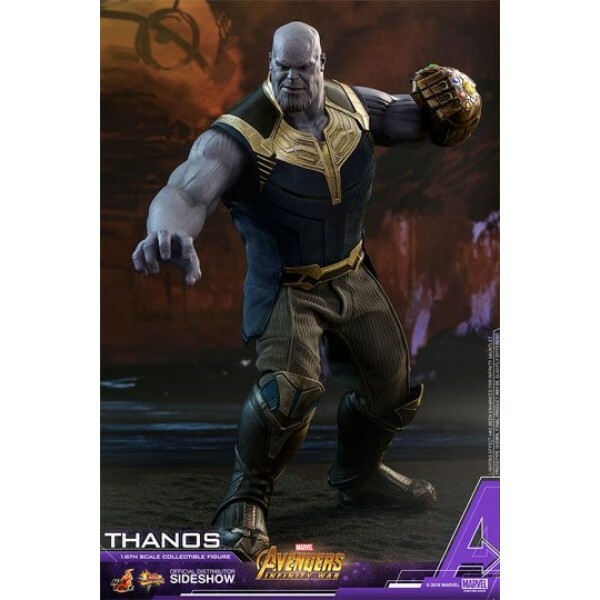 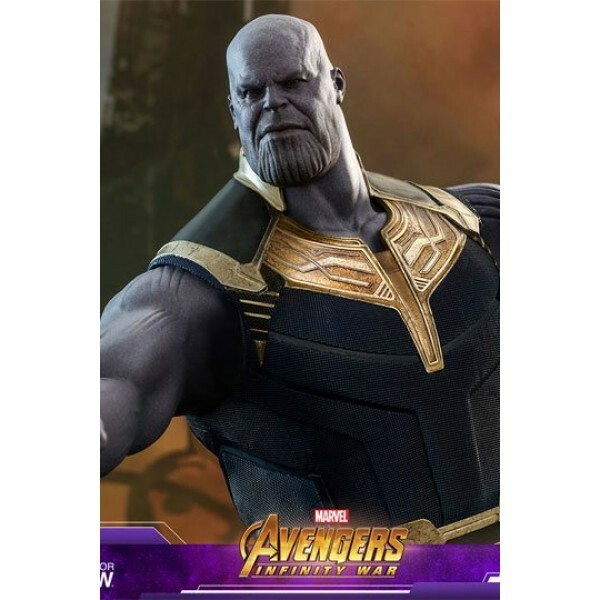 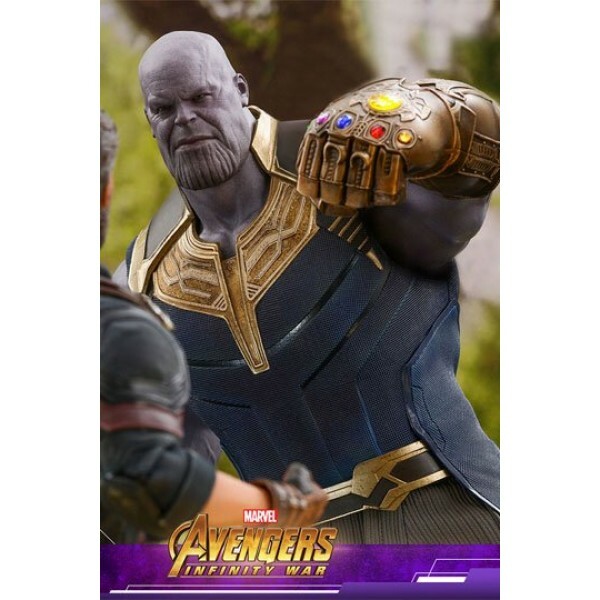 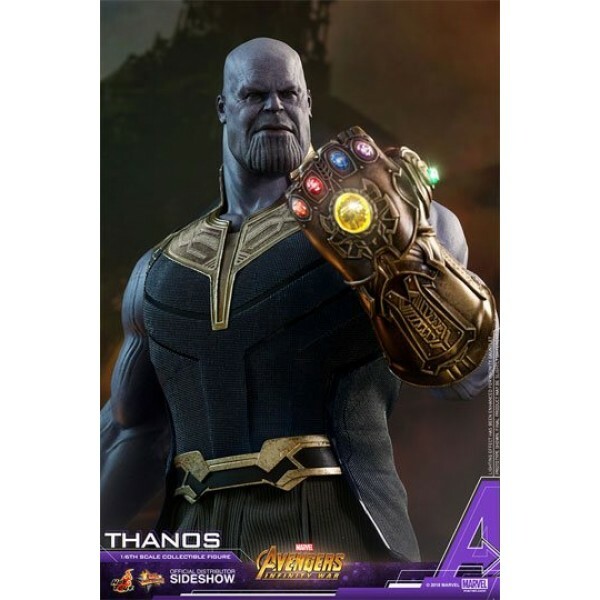 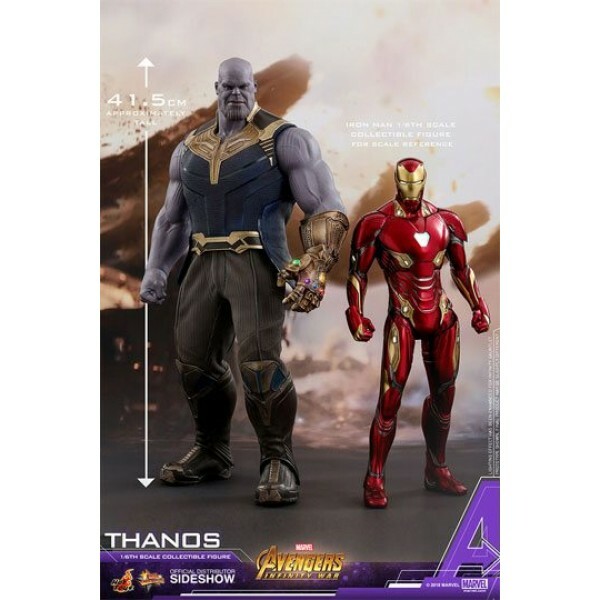 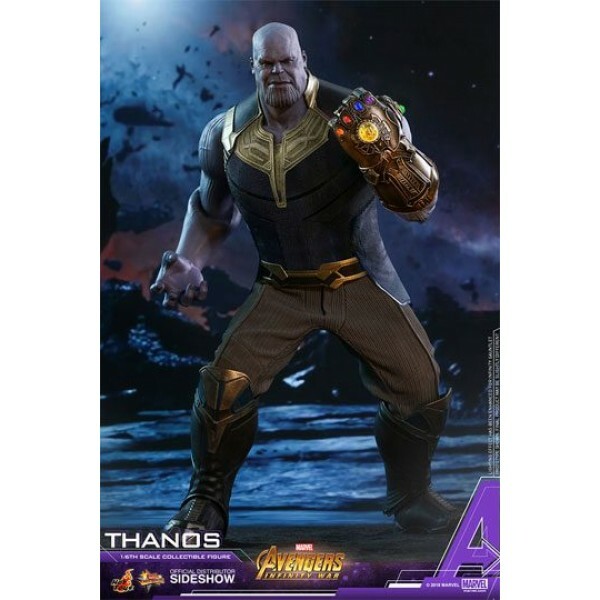 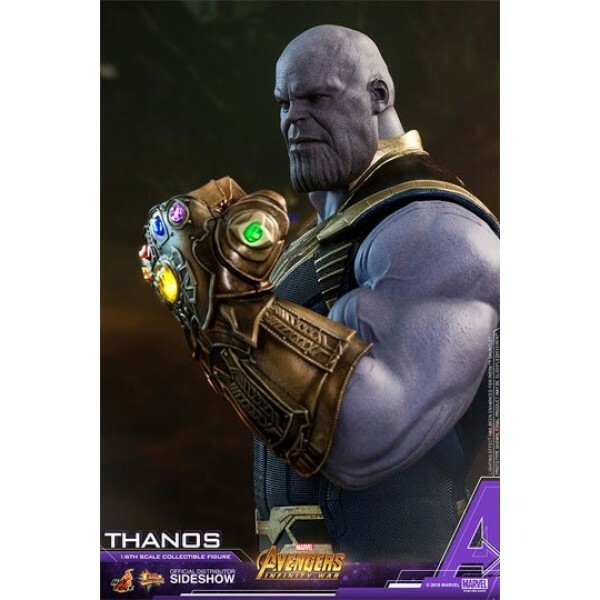 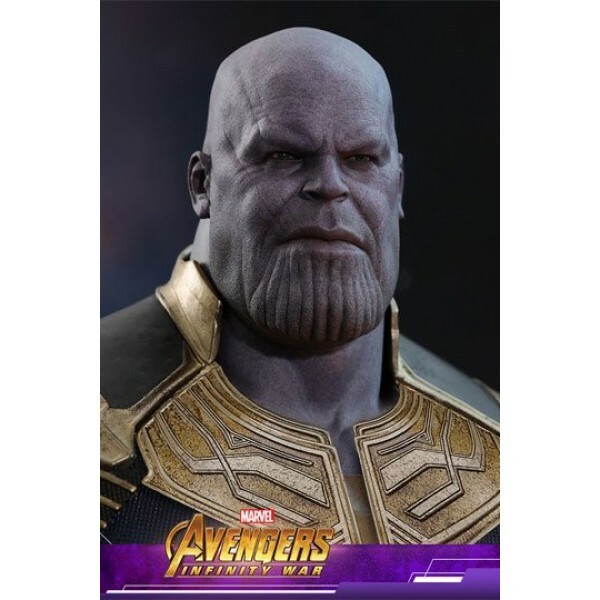 The spectacular 1/6th scale Thanos collectible figure is meticulously crafted with impressive likeness based on the main appearance of Thanos in Avengers: Infinity War. 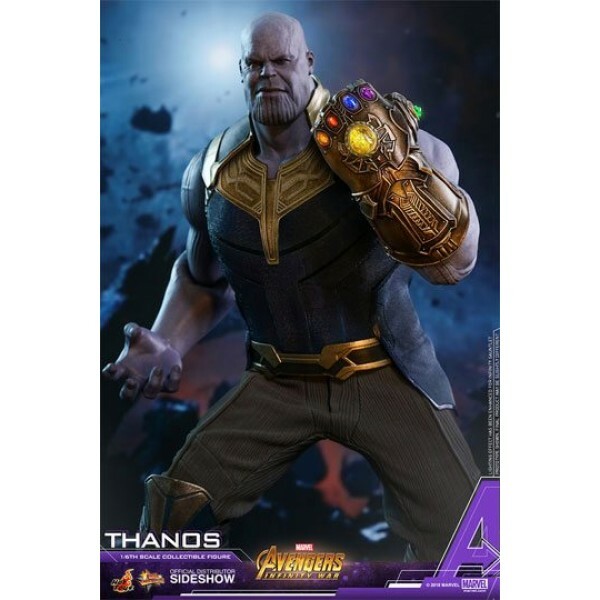 The collectible figure features two newly developed and sophisticatedly crafted interchangeable head sculpts inspired by Thano's serious and angry expressions respectively. 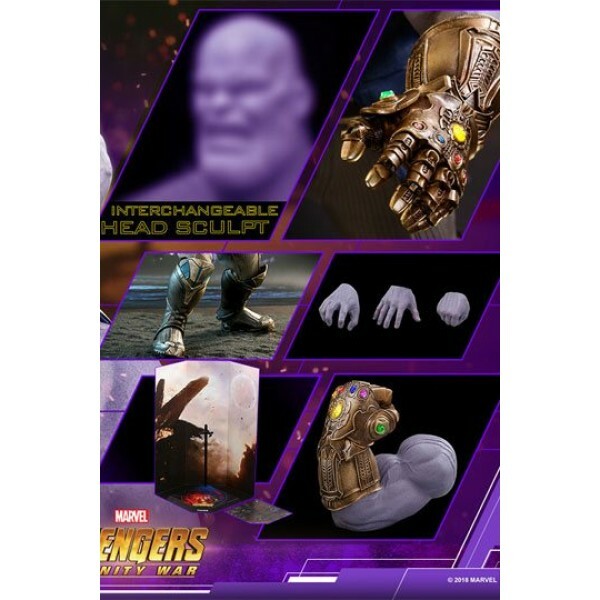 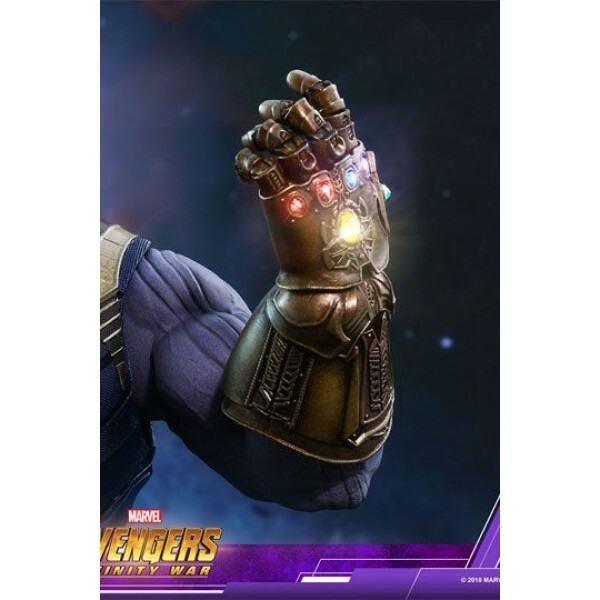 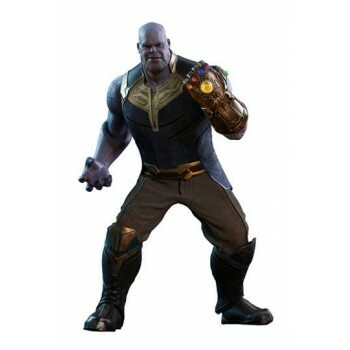 It also comes with two styles of LED light up metallic gold-colored Infinity Gauntlets with all six Infinity Stones and weathering effect, an additional interchangeable non-articulated left arm with great muscle details for Thanos' iconic and intimidating clenched fist pose, a newly sculpted and tailored armored costume with intricate details, and a specially designed figure base and backdrop.